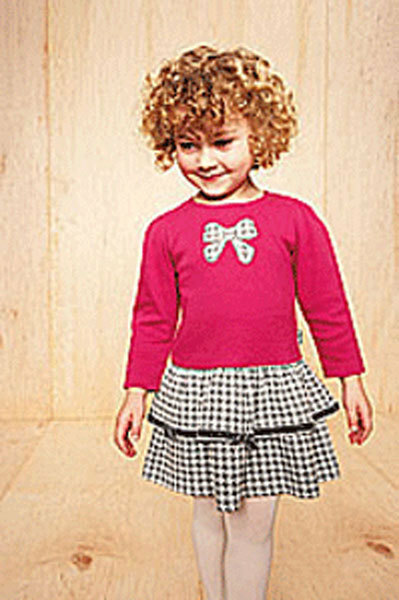 le top girl "Buttons Bows" houndstooth dress. Soft jersey knit mauve dress with bow applique and velvet ribbon on skirt. Great for school programs or partys. Fits girls size 6.